As part of the exhibition The Lapérouse Mystery, the National Marine Museum, organized the 17 and 18 October 2008, an international symposium dedicated to major French expeditions of the eighteenth and nineteenth centuries, from Bougainville to Dumont d'Urville, in The pacific. Strategic and International time. Researchers and experts from various backgrounds have prepared the statement of scientific research. Of the good use of the inheritance of Charles Quint. Disagreements cordial relations between naval officers and scientists in the French voyages of discovery of the eighteenth century. Bougainville traveler-philosopher versatile model or single traveler? Between sincerity and artifice of the logbook to travel around the world. Cabinet side: the desertion of Oceania in French collections. 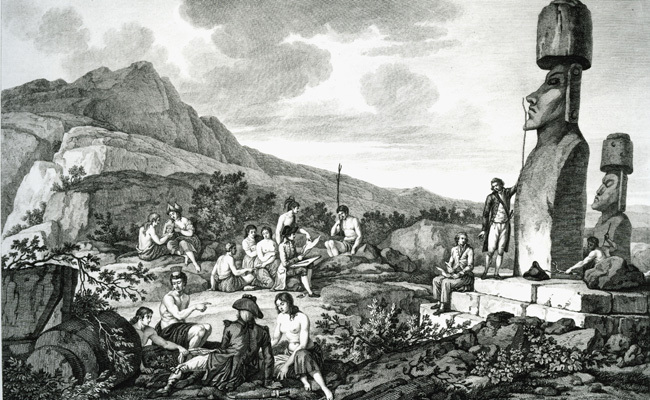 In the shadow of the great journeys: Dealer log legitimization efforts (1790-1792). The Forgotten Legacy of Dumont d'Urville and the Explorers of the Pacific: Voyages of Gaston de Rocquemaurel, 1837-1854. "If in enguet tan len that cambiat fusguèt in brounzo and we brounzo Tournet" The Albigensian lapérousienne versions of the Vulgate (1826 - 1941). "We are not newcomers to these seas" Centennial Laperouse and French presence in the Pacific (1879-89).